In 1992, composer Carvin Knowles attended an exhibit at Oxford University, celebrating the J.R.R. Tolkien Centennial. There, on display, were many of Tolkien's handwritten manuscripts which appeared, at first, to be so many early mediaeval texts. 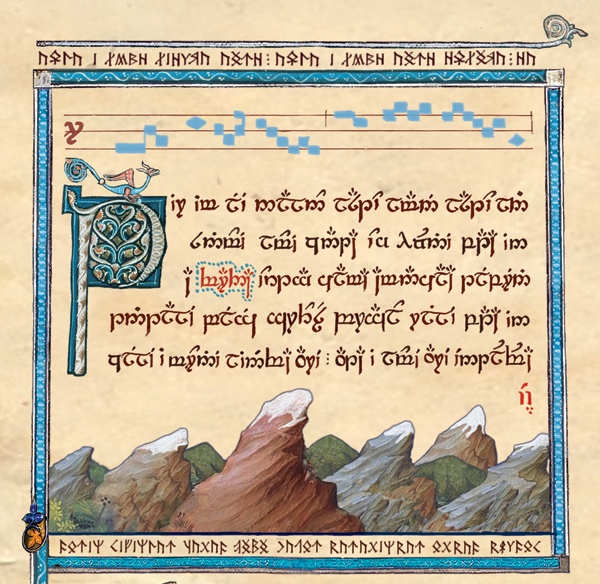 In that moment, the concept of using musicological techniques to reconstruct the music of Tolkien's ancient worlds was born. When The Fellowship began recording IN ELVEN LANDS on boxing day 1998, it was their intent to create the same kind of musicological experience you might have while listening to the historical re-creations of René Clemencic, Phillip Pickett, David Monroe, The Jay Consort and Sequentia. Those musicologists, in particular, performed music from ancient sources in an entertaining way, so as to bring those ancient texts to life, warts and all. Knowles was particularly drawn to the Carmina Burana, and even more so, ancient Christmas music, with it's carols that included smatterings of Old English, Old French and Latin, in a mish-mash of cultural cross-reference, pointing at a mix of tradition and a miraculous tale of religious and cultural importance. At first, it was their intent to set Professor Tolkien's lyrics to music. In The Lord of the Rings alone, there are descriptions of some fifty songs, many with complete lyrics. But getting permission from the Tolkien Estate to set his lyrics to music is notoriously difficult. Their first attempts to get permission to record Tolkien's lyrics failed. 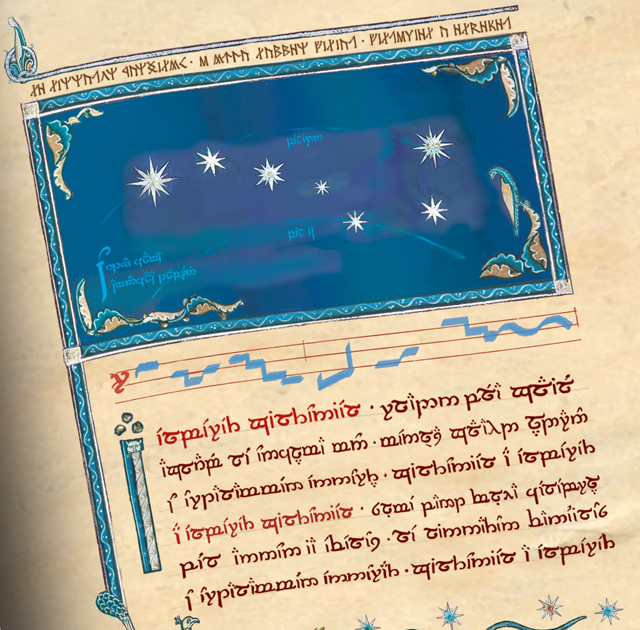 In order to continue The Fellowship would need original lyrics that didn't infringe on Tolkien's copyrights.... but what they really needed was an ancient manuscript of Eldarin literature, a corrupt copy of a copy, just as Tolkien had described. Throughout most of J.R.R. 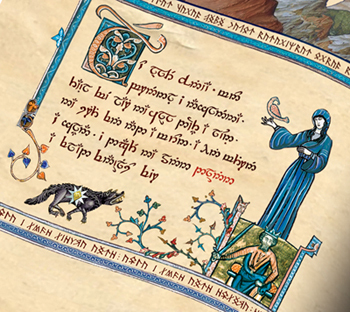 Tolkien's works, the author presents the idea that he was translating an ancient text from one of many ancient and lost languages. Recent studies of Tolkien's early papers from The University of Leeds would indicate that the idea dates from the beginning of his career and was part of the author's sense of humor. Considering his work translating The Book of Job for The Jerusalem Bible, and Sir Gawain And The Green Knight, it is clear that he had plenty of experience with ancient manuscripts. In the Introduction and Appendices to The Lord of the Rings, Professor Tolkien claims that he translated the text from the Red Book of Westmarch. He speaks of multiple corrupt copies of the text and corrupt copies of copies. The Silmarillion makes reference to Tolkien's unfinished works The Lay of Leithian and The Lays of Beleriand as if they were well-known epic poems. The idea of the author translating these old myths and legends rather than inventing them himself permeates those stories, and leads many readers to forget that they are tales from the mind of a single man, taking them as real events. But in a strange, academic way, those ancient manuscripts did exist in the form of Professor Tolkien's notes and unpublished tales, which outlined languages, histories and etymologies. In these notes, Tolkien composed epic romances to mimic the alliterative poetic style of the Saxons or the folk poetry of the English countryside. In every case, the good professor presents a fully-formed civilisation replete with annotations that would be the envy of any ancient civilisation, real or imagined. Knowles writes "The concept of a 'lost manuscript' had been in my mind since that day in Oxford, back in 1992. It was reinforced by reading Tolkien's The Book of Lost Tales in the mid-90s. So I took the opportunity to create our ancient manuscript by writing new lyrics in Elvish." In the late 1990s, resources were limited to whatever books the band could find or order. There were no internet resources for Elvish languages at the time and the Etymologies hadn't been published...but for creating a "corrupt manuscript" those resources which they could find would be enough. A strong operative principal in Tolkien's linguistic work is the way languages change over time, as witnessed by his artificial evolution of Sindarin which he describes as "changing with the changefulness of the tongues of men." The new "manuscript" would explore this linguistic evolution, so that each lyric is in a different dialect from the last. In the composition of lyrics, they sometimes created compound-words from existing vocabulary. Before long, the ancient manuscript began to take shape. The Tir Im Psalter is decribed as "the most recent Eldarin text and, without a doubt, the most corrupt." According to the album notes, "the book was handwritten by no less than four different scribes, using at least four different writing systems and three different languages. In places, it is illustrated with brightly coloured inks, paints and both silver and gold leaf. "There is evidence on the leather back cover that it was stored in a wooden box, where it was eventually water damaged, especially near the back pages of the book. In the 18th century, a book-moth destroyed four pages and damaged several others near the middle....The languages which appear in The Tir Im Psalter are Quenya, Sindarin and an early form of Anglo-Saxon. But the languages and their usage have caused great debate amongst linguistic scholars. Quenya was the ceremonial language of the Eldar, and while it uses the same letters as Sindarin, their spelling practices are quite different. Several of the Tir Im scribes mix the two in their texts. Helge Fauskanger wrote in his commentary that it is clear that some of the author(s) were not fluent in Quenya. He decribed some of their use of grammar as "idiosyncratic" and one hymn to Illúvatar as a kind of "Pidgin Quenya." Yet buried among the corrupt texts lies at least one complete, perfect example of the ceremonial language." Several portions of The Tir Im Psalter have been produced as actual manuscript and are printed as "colour plates" in the album notes. 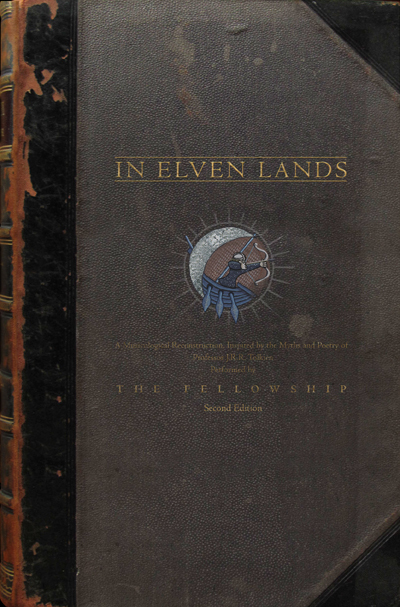 Treating Professor Tolkien's works as historical sources, Knowles applied reconstructive practices to find out how the music of Middle-Earth might have sounded. The process took into account Tolkien's descriptions of singing styles and musical instruments, as well as the natural rhythm of the languages and poetic metres he employed. In the literary context of many of Tolkien's songs, the performer is often described not as singing but as chanting the lyrics. Most ancient chant derives its rhythm from the words and poetic forms, of the lyrics. 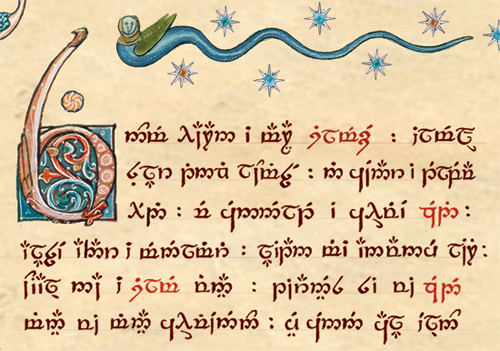 Since The Tir Im Psalter drew its poetic metres from Professor Tolkien's writings, the rhythms of those songs would naturally be the rhythms that belong to Tolkien's languages. Tolkien's Elvish languages contain words used to describe poetic "mode," much like the "rhythmic modes" of 12th century Troubadour music, these modes provide a vital clue as to the accent used in Elvish languages, by telling us which syllables of each word are to be emphasized. 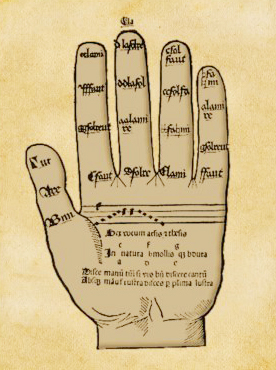 The most simple explanation is that, like their mediæval counterparts, they divide poetic rhythms into long-short, short-long, long-short-short etc. By establishing the rhythm of these languages, The Fellowship used their "natural" rhythm to provide the rhythm for their musical setting. When it comes to melodies, however, they needed to look to a figure from the ancient Classical world for help. Pythagoras of Samos (c. 582 b.c.e. - c. 507 b.c.e.) 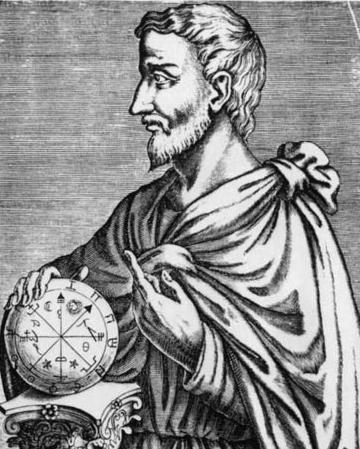 was the father of arithmetic, geometry and music theory. Perhaps Pythagoras' greatest contributions to music theory were the Greek Modes (often referred to as the Church Modes because of their influence on Gregorian Chant). Named for different regions of the ancient Greek Empire, these Modes were a series scales, each with a different interval structure. The Major and Minor scales that are so common today were only two of those Modes. These Greek Modes allowed The Fellowship to explore a wide variety of melodic styles from the ancient world. Most of the music for IN ELVEN LANDS uses a harmony system called organum. Organum emphasises the pythagorean "perfect" intervals of the fourth, fifth and octave. Organum takes three forms or "species;" parallel, oblique and contrary. Parallel organum is quite simply the perfect intervals moving together in block harmonies. Oblique organum begins with the harmony voice staying on one note, like a drone, until the distance between the harmonies becomes a perfect interval, at which point the voices remain parallel until it is time for them to converge, at the end of a phrase. Contrary organum is created by voices moving in opposite directions, landing on perfect intervals at the strong beats, or at the beginnings of important words. In practice, these three forms of organum were mixed liberally in a given work of music, however some styles of music would favour one "species" of organum over another, for example: Oblique organum was important in the composition of mediæval motets, while contrary organum appears in 13th century dance music. Just as Tolkien's works are strongly influenced by ancient literary forms, IN ELVEN LANDS was influenced by Troubador virelais, Notre Dame conducti, the hymns of Hildegard von Bingen, the Carmina Burana, Macedonian folk-dances, Gregorian Chant, Minnesinger melodies, English country-dance tunes and thirteenth-century polyphonic dances. From the beginning of the project until recording began was just over six years. The process of recording for the "First Edition" release in 2006 took another seven years. The first release of IN ELVEN LANDS was in January 2006 on Voiceprint Records, an English record label dedicated to Progressive Rock. The album was an odd fit for the record company and the entire release relied upon an English rock star appearing on the album. The deal was made, but the process compromised the project's unique integrity. While illustrations from The Tir Im Psalter were used in the packaging, no mention of the manuscript was made. But even worse, the entire album was often attributed to the record label's rock star. In just over three years, the album went out of print. For the new second edition, released by Oglio Records on 5 November, 2012, The Fellowship have made a few changes to bring the project closer to their original intent, including four previously un-released tracks, and the return to older versions of many of the songs. Most noticeably, the lineup of The Fellowship has changed. The rock star from the first release is nowhere to be found. Instead, South African countertenor Stephen Diaz has joined the lineup to sing Elechoi Mirnu Aglaron, and the previously un-released work EIo Elleth. Also joining the project is Maori singer Dennise Pehi who sings The Canticle to Elbereth Gilthóniel. This edition also features a completely new work which is a collaboration with one of the foremost experts on the Elvish languages, Helge Kåre Fauskanger. In the midst of all the "corrupt" versions of Tolkien's languages, Fauskanger's lyrics show the delicate beauty of well-written, un-corrupted high Quenya, sung as a simple chant. Also in the spirit of capturing the feeling of those raw, ancient manuscripts, The Fellowship have included a recording of J.R.R. Tolkien's chant Namárië, which recreates the author's first, "uncorrected" version that he recorded in 1952. 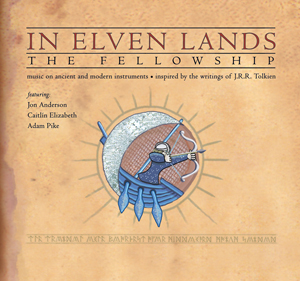 For the second edition of IN ELVEN LANDS, The Fellowship have re-recorded nearly half of the album. For those familiar with the original release, the second edition might appear to be an entirely new album. Perhaps in a very real way, that first edition was a corrupt copy of the original text, which now appears in the second edition. The Fellowship are an all-acoustic ensemble. Their performances on IN ELVEN LANDS feature cello, harp, hurdy-gurdy, flutes, gongs, lute and an astounding array of other ancient and modern instruments.